This OCEANFRONT home was custom designed for the owner with the best of everything. 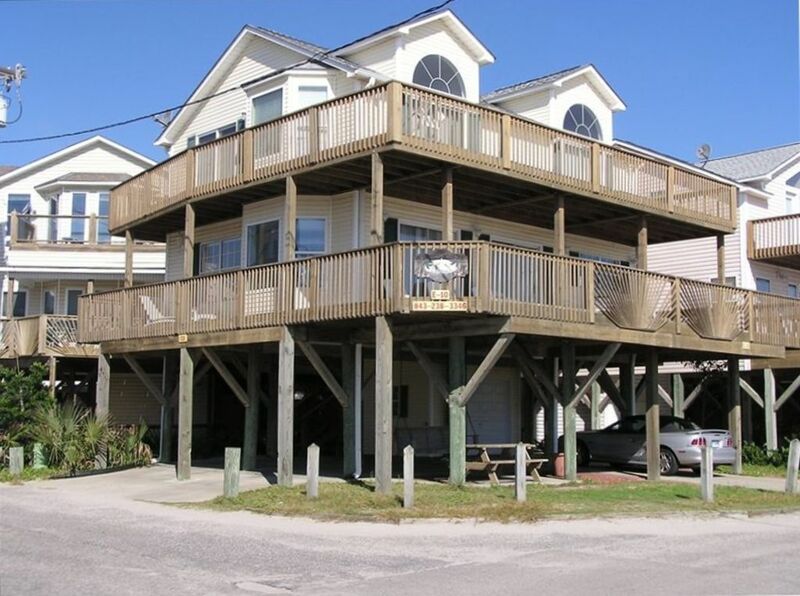 The home is beautifully laid out with everything you will need for a great family vacation. ON-SITE FEATURES INCLUDE: Organized activities for kids, teens, and adults, arcade, basketball, one mile of private beach with life guards, biking, bingo, boating, child ID wristbands, church services, crafts, concerts, dancing, discounts to local activities, fishing in lakes and surf, general store, golf cart rentals, horseshoes, meeting rooms, miniature golf, nature center, pavilion, ping-pong, indoor and outdoor pools (FREE swimming lessons), recreation hall, shuffle ball, snack bar, 24-hour patrolling security, volleyball, ten mile-per-hour speed limit. Ocean Lakes is a beautiful family-oriented community where you can feel comfortable letting the kids have some freedom. NEARBY THINGS TO DO: Over 100 golf courses, shows and theaters (Alabama, Legends In Concert, The Palace Theater, Carolina Opry Dixie Stampede, Medieval Times), great shopping including 2 Tanger Outlet Malls, Broadway at the Beach and Bearfoot Landing, amusement parks including The New Hard Rock Theme Park and as always The Family Kingdom Amusement Park with oceanfront waterslide. We also have two large water parks, hundreds of miniature golf courses, batting cages, water sports, deep sea fishing, boat rentals, etc. Linens are included for weekly stays during the peak season. 'Peak' weeks are those at our highest summer rates. Kitchen has all appliances and cookwear, etc. TV in living room and most bedrooms. Extended basic cable provided.